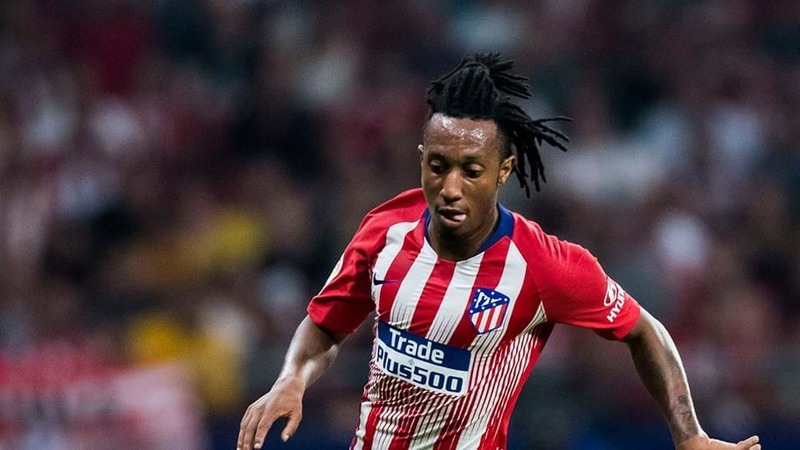 Arsenal have put forward a proposal to sign Atletico Madrid winger Gelson Martins this month but face competition from Monaco for his signature, according to reports in Portugal via the Daily Star. Martins came through the youth ranks at Sporting Lisbon but was one of several players to controversially cancel their contracts in the summer after being attacked by disgruntled fans at the clubs training ground. Arsenal were among the clubs reportedly keen on signing the winger before he opted for a move to Atletico in July but his time in Spain hasn’t gone according to plan as he’s struggled to establish himself under Diego Simeone. Martins has started just 1 La Liga game so far this season leading to speculation he could look for a move this winter in search of regular first team football and it seems Arsenal are ready to offer him a new challenge in England. 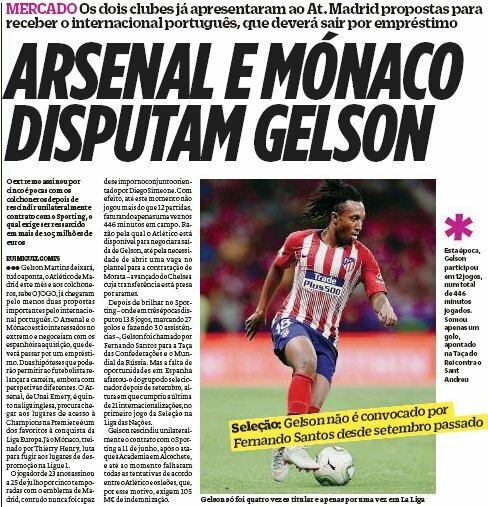 The Daily Star are citing a report from O Jogo that claims Arsenal have put forward an ‘important proposal’ to sign Martins this month but we’ll face competition from Monaco as Thierry Henry’s side have also tabled an offer for the attacker. The report doesn’t reveal the precise details of the supposed offer but considering Unai Emery claimed earlier this month he could only sign players on loan in January, it’s safe to assume we’re looking to bring Martins to the club on a short-term deal until the end of the season. Atletico are likely to give serious consideration to letting Martins leave as they are reportedly keen on signing Alvaro Morata so the 23-year-old’s exit would pave the way for the Spanish striker to arrive from Chelsea. The Daily Star says Martins missed training on Friday and wasn’t involved in the squad against Huesca on Saturday due to a minor hamstring problem but it only fuelled speculation linking the winger with a move this month. The Portuguese international is predominantly a right winger but he can play anywhere across the front three positions so his versatility would be a useful asset for Emery if Arsenal were able to get a deal agreed.